A lot of people don’t realise that Abu Dhabi is actually a series of Islands. The ‘main’ part of Abu Dhabi is currently on Abu Dhabi island, or more commonly known to locals and residents as ‘The Island’, but there is a great number of islands that form part of the Emirate of Abu Dhabi that are there to be explored. Yas Island is a partially man-made island that is just off the main Abu Dhabi / Dubai road and lies around 45 minutes from Dubai. 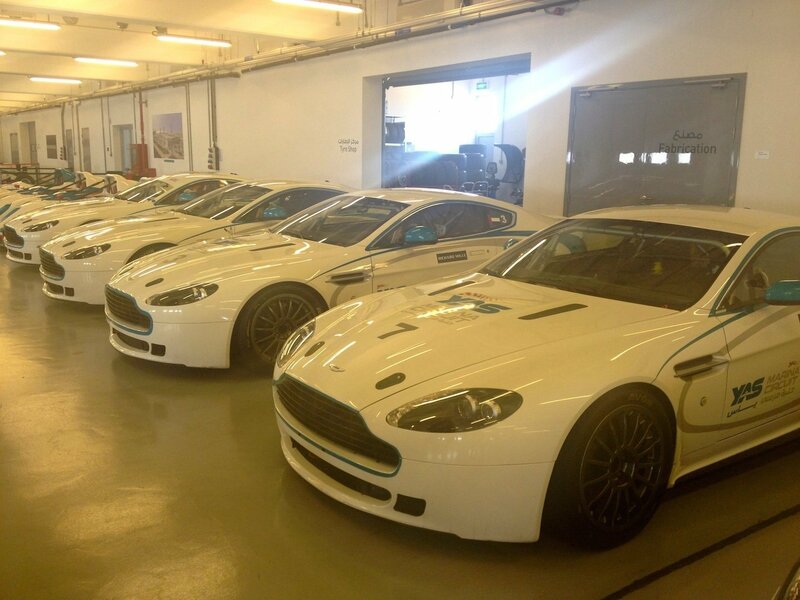 So, Yas Island… what’s it all about? 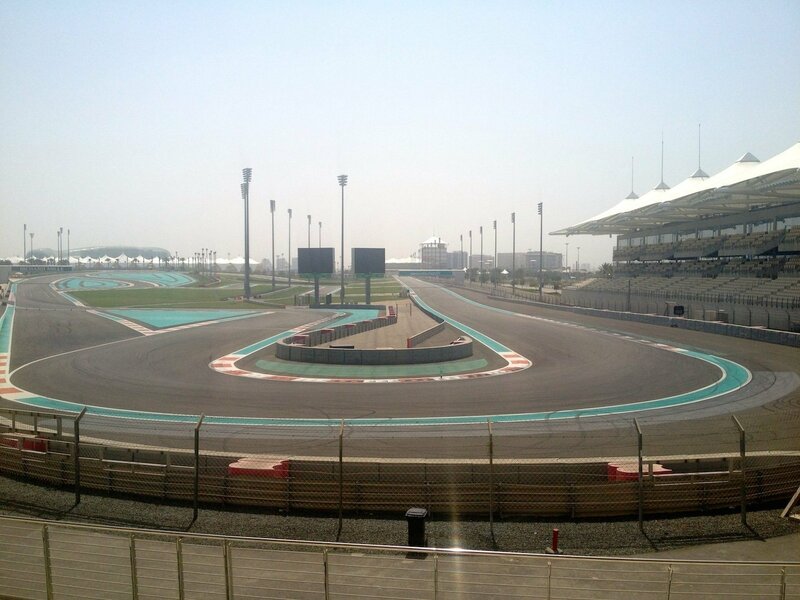 Already famed for the Abu Dhabi Grand Prix in November each year and reported to be a favourite track of the pros due to the number of tight corners. Fast fact: the track also features the longest straight on an F1 track anywhere in the world at 1.2km long. Sign up for one of the courses at the driving school and learn how to drift, how to drive a Formula 3000 car or just hang onto your hat while you sit back and let the professionals take you for a spin around the track. If watching the racing is your thing then the Viceroy Hotel is definitely the place you’d want to be around race time if you didn’t get a ticket. You can book into one of the rooms here, many of them have views over the track. Of course one of the other notable features of the hotel, other than its vicinity to the track is that is also the first hotel to have a corridor that actually passes over a Formula One track. 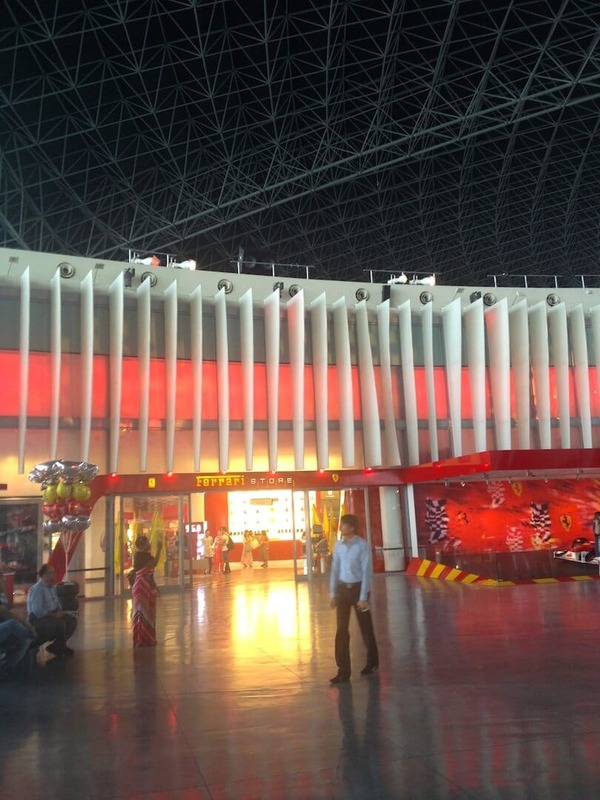 Continuing the theme of first’s, Ferrari World is the world’s largest indoor theme park, with, yep, you guessed it – the world’s fastest roller coaster! Right from the outset the building is iconic, you can see the low slung red roof for miles around and inside is no disappointment as the steel and tempered glass structure alone is striking and impressive. Sadly, I’m afraid my photos are not. 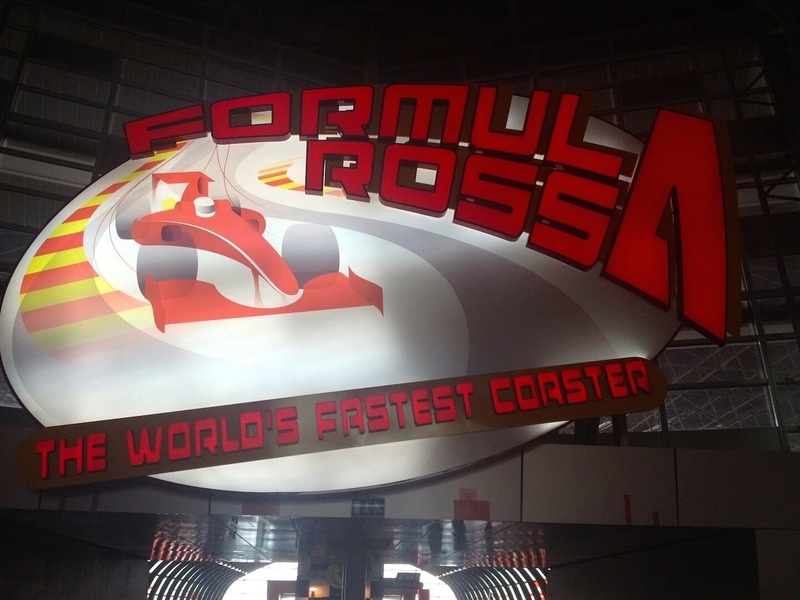 I’d say hang onto your hats, but all loose items have to be removed before taking on the Formula Rossa – and it’s just as well since the coaster reaches 240km per hour in under 5 seconds… What can I say? You’ve just got to try it to believe it. 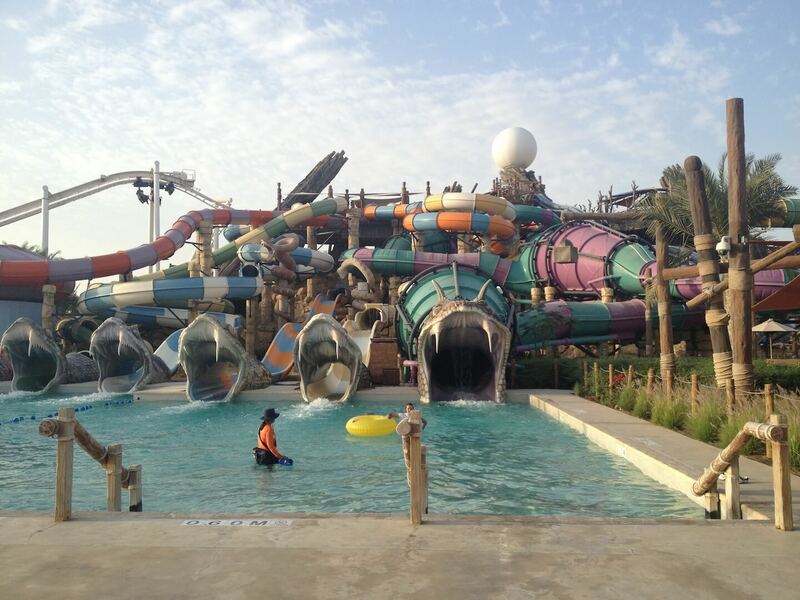 Water park extraodinaire, Yas Waterworld has it all happening, and with the biggest kid’s play area in the Middle East there’s something to keep kids of all ages amused. There’s even a suspended roller coaster in the park – novelty aspect being that there’s a button to press to try to hit various targets as you whizz by. Word to the wise though, only try this if you are happy to get wet, as it also activates water jets that shoot back at you along the way! My photos don’t really do the park justice as there’s heaps more going on there than the pics have caught. 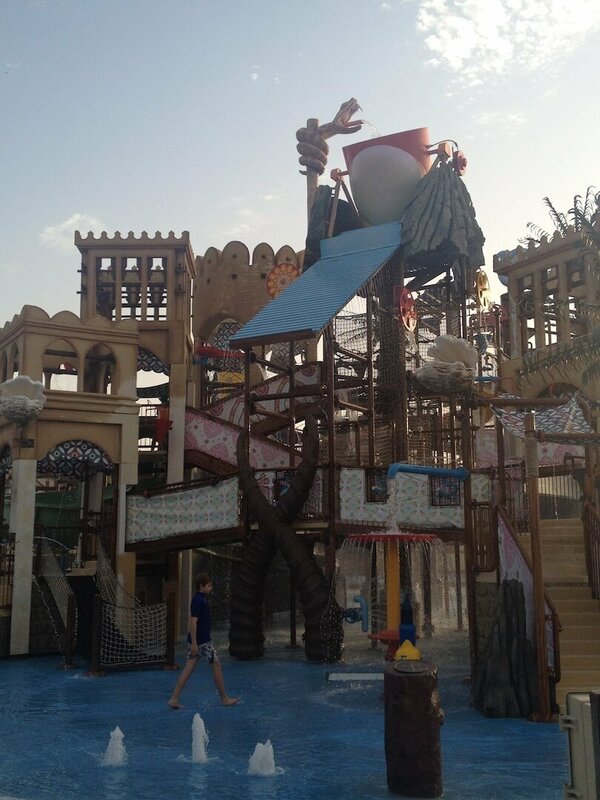 The park even has it’s very own themed story which tells the tale of Dana, who sets out on an adventure to find the lost giant pearl of the Arabian pearl diving Village ‘Qaryat Al Jewana’ – you can follow the story throughout the themes and rides in the park, and kids can even take part in their very own ‘Pearlmasters’ treasure hunt to keep them busy around the park even after they’ve tried all the rides. Of course, aside from the kids, there’s heaps of fun and scary stuff for all us big kids too with heart stopping water slides (one of them even loops around, defying gravity to shoot you upwards!) and learn to surf experiences with the flow rider machine. Unique to Yas Waterworld, there’s also ‘Bubble’s Barrel’ which generates barrel waves good enough to host the Pros of the World Flowboarding Championships – it’s about as close to Hawaii as you can get without getting on a plane and training is required. You’ve got to be deemed able enough by one of the park instructors before you can graduate from the flow rider to ‘Bubbles Barrel’. I’ve got to be honest, the idea of Waterparks don’t generally fill me with excitement, but it was hard not to get excited after actually seeing what’s on offer there – heaps of fun stuff for everyone and again, you’ll just have to get down there to see for yourself. 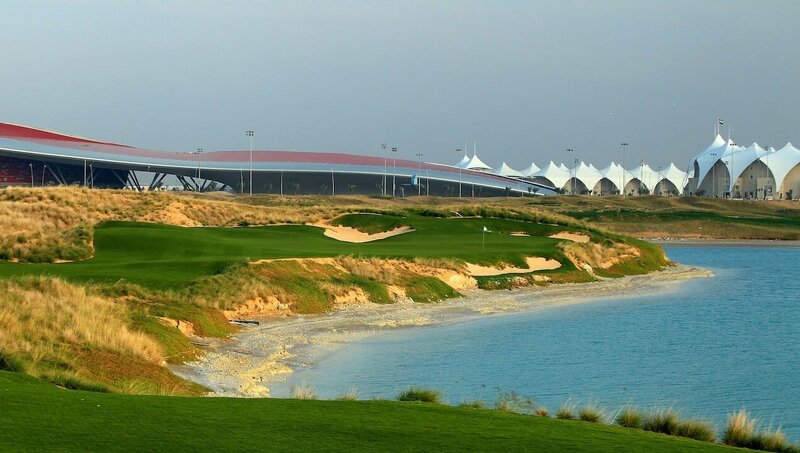 One of my personal favourites and a frequent hang out of ours, Yas Links is truly a beee-yooo-tiful course, if, a really rather difficult and frustrating one (at least for me anyway!). 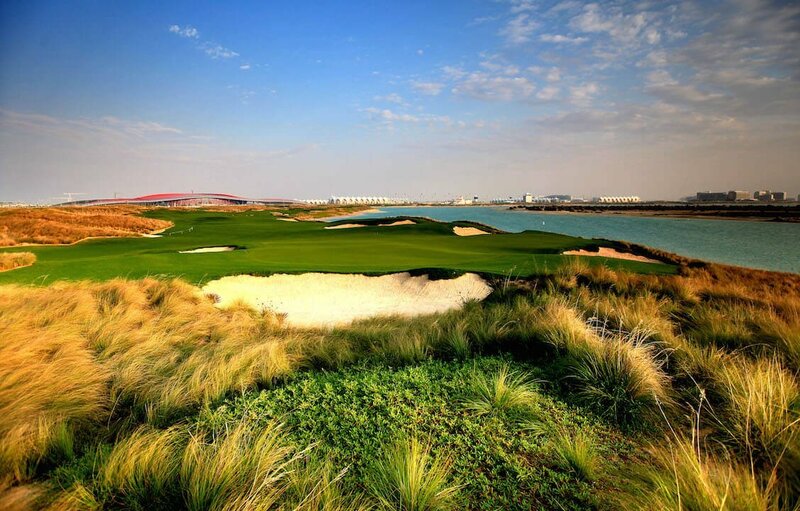 The pesky course boasts four par five holes, the longest of which is a ma-hoo-sive 646 excruciating yards. If like me, that’s a little too much for you there’s always the equally gorgeous par three academy course which is a little more manageable and great short game practice. It is a narrow course though so you’ll find yourself in trouble if you struggle to hit straight. It’s also floodlit and last tee off time in the evenings is around 9pm so there’s heaps of time to get a little taster in after work. I’m on the edge of my seat about this one… Yas Mall is a-coming… Set to open this year I’m told, to coincide with the Grand Prix in November, I can’t wait. 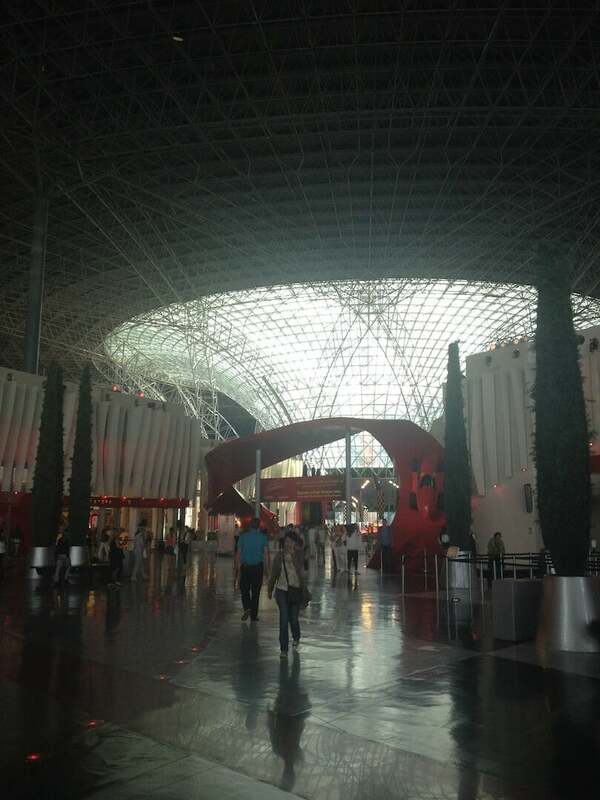 Reportedly set to be huge and second only in size in the UAE to the Dubai Mall. 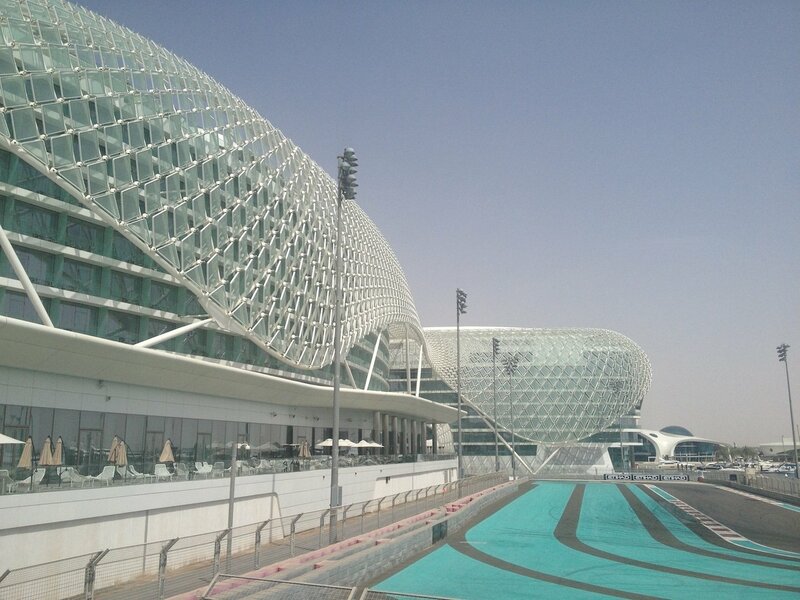 Hopefully, at last everything you need in Abu Dhabi will be housed under one gargantuan roof… fingers crossed. 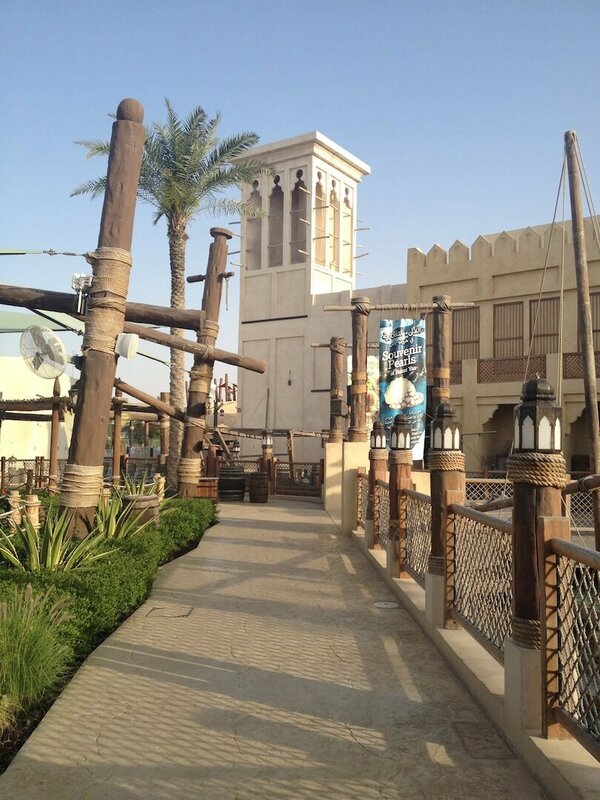 UPDATE 20/Nov/2014 – Yas Mall is now open! To find out more you can read my post on the mall by clicking here. Nope, not been there yet I’m afraid, but I can vouch for their limo. Very comfortable. 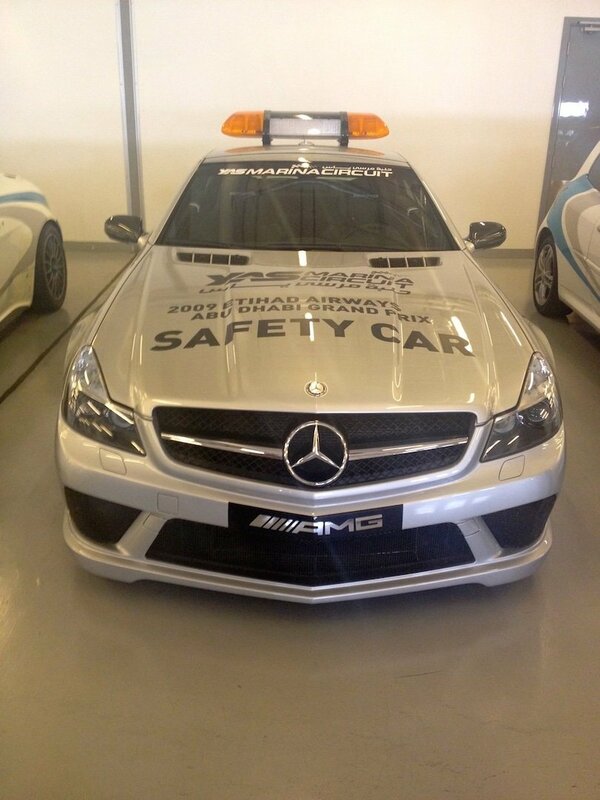 Yup, It ferried us round Yas Island all day on our tour so thought I’d mention it. A lot of bystanders spent the day being disappointed – limo rocks up and they’re all excited, expecting someone super famous to get out, and instead they got a bunch of media peeps they definitely didn’t recognise. Still, it didn’t stop them posing for pics with the car – a little weird we all thought – but, if you can’t beat ’em, join ’em! 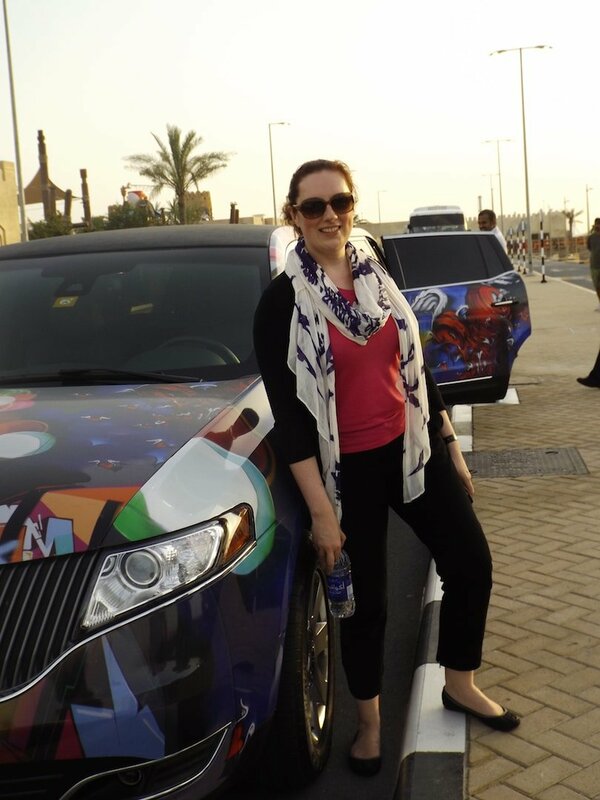 Our luxury transport for the day – The One limo! Great article Lindsey – really got me in the mood! Shame i have to spend my day at work – i want your job! Thanks Shirley! Just to whet the appetite for weekend planning perhaps?! 1. 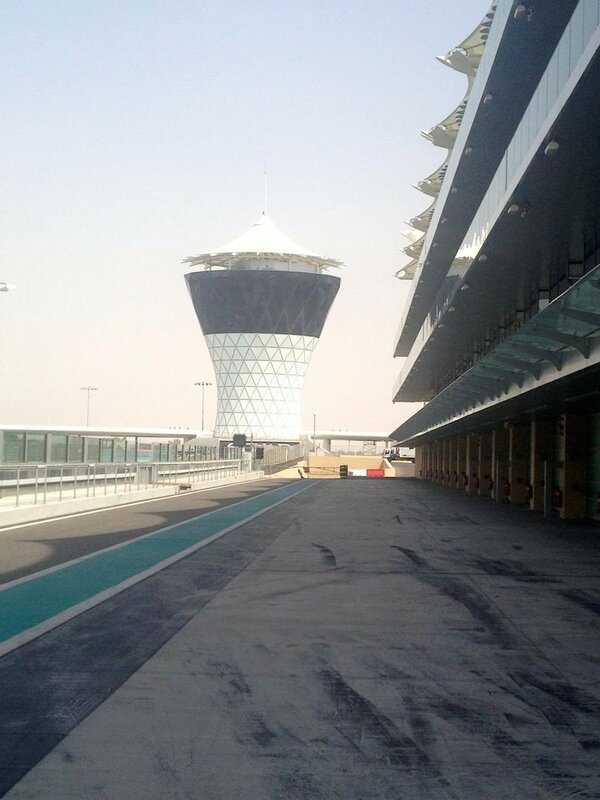 On Tuesday evenings you can walk, run or cycle around Yas Marina Circuit (6pm to 9pm). You can hire bikes there but need to be there early to do so. It’s great fun, and open to all. I think Wednesday evening is the same, but ladies only. 2. The restaurant at the golf club is great, nice food, reasonably priced, and you can sit out on the terrace looking out over the water. Thanks for your comments! Yes, there’s definitely heaps more to add – I’ve saved some for another post so not to make it too long! Great suggestion re Tuesdays and Wednesdays – these are great events. It’s like sightseeing combined with exercise! And you are right, Hickory’s at the golf club is gorgeous with great food – definitely more about that another time! Great post, Lindsey. Can I feature this on my best travel experiences for the Grand Prix in November? It’s like the fastest everything, all in one place. Have you been to the race? Yes of course, please do! And if there’s any other info I can help with do let me know! I’m afraid haven’t managed to get to the actual race yet as it goes (it’s always around my birthday! ), but maybe I will make this my year!